An aerial view of Tanga during the day time. Tanga is both the name of the most northerly port city of Tanzania on the west of the Indian Ocean, and the surrounding Tanga Region. It is the Regional Headquarters of the region. With a population of 273,332 in 2012, Tanga is one of the largest cities in the country. It is a quiet city compared to, for example, Arusha or Moshi with a comparable number of inhabitants. The city of Tanga sits on the Indian Ocean, near the border with Kenya. Major exports from the port of Tanga include sisal, coffee, tea, and cotton. Tanga is also an important railroad terminus, connecting much of the northern Tanzanian interior with the sea. Via the Tanzania Railways Corporation's Link Line and Central Line, Tanga is linked to the African Great Lakes region and the Tanzanian economic capital of Dar es Salaam. The city is served by Tanga Airport. The earliest documentation about Tanga comes from the Portuguese. 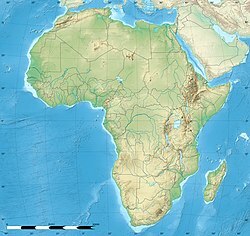 A trading post was established by the Portuguese as part of their East African coastal territory and controlled the region for over 200 years between 1500-1700. The Sultanate of Oman battled the Portuguese and gained control of the settlement by mid 1700 along with Mombasa, Pemba Island and Kilwa Kisiwani. The town continued to act as a Trading port for Ivory and Slaves under the sultan's rule. Tanga continued to be a prosperous trading hub for slaves with the Arab world up until 1873 when the European powers abolished the slave trade. In the 19th Century growing interests by Europeans for the Scramble for Africa brought the Germans to Tanga. The Germans bought the coastal strip of mainland Tanzania from the Sultan of Zanzibar in 1891. This takeover designated Tanga into a township and was the first establishment in German East Africa. The town became the centre of German colonial administration before the establishment of Dar es Salaam in the early 20th century. Tanga was chosen in 1889 as a military post of German East Africa, and it became a district office in 1891. The town saw rapid expansion and planned growth under the German occupation. A tram line was developed within the city to facilitate domestic transport and a port was also built to facilitate exports. In 1896 the construction of the Usambara Railway began and was extended to Moshi by 1912. Roads, bridges and the railway facilitated industrial growth in the region and many buildings and bridges that are still in operation today in the town are from the German colonial period. The local economy was based mainly on the production of sisal, which had been brought to the colony several years earlier, and population in the area grew rapidly. As the coastal town closest to British East Africa (Kenya), Tanga was on the front line at the outset of World War I. A British landing was thrown back on 4 November 1914 in the Battle of Tanga, and the town was not taken until 7 July 1916. After the War, Britain gained control of Tanganyika and continued to develop the town and exploit its agriculture potential. In 1919 Tanga was the country's fourth largest city, however at independence it was the second largest city after Dar es Salaam. In the early stages of independence, the Port of Tanga continued to be a gateway for the export of sisal from the region. However, following the adopting of the Ujamaa policy, agriculture in the region collapsed and the city lost its value.[how?] With the government controlling the agriculture trade and the depreciation in the world prices of Sisal the port began to lose revenue. Tanga Cement is one of the major industries. The Tanga airport arrivals lounge. A ship anchored in the Tanga Bay. Tanga has a small airport and is currently served by only two regional airlines Auric Air and Coastal Aviation providing scheduled services to Dar es Salaam, Pemba Island and Zanzibar. In 2014 the airport served less than 30,000 passengers. There are also a small number of private airstrips in the surrounding area around the city that facilitate the private estates and surrounding industries. 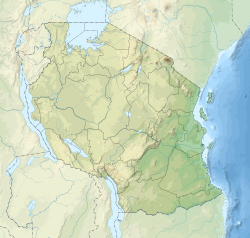 Tanga city lies 250 km from Chalinze on the A14 highway that runs from Chalinze to Mombasa. The Town is also 75 km away from Segera which is a junction linking the A14 and the B1. The B1 highway is a bypass that links Moshi and the northern corridor to Tanga. The port is historically the oldest operating harbour in the nation and its roots date back to around the 6th century. The Port of Tanga is the second largest port in Tanzania and is a vital part to the city's initial development and economy. The port operates at 90% of its installed capacity and its main cargo is coal for the cement industry and is a new gate way for crude oil products. The Ports authority has major plans to upgrade the port increase capacity and provide an alternative route for cargo flowing into the country. Due to close proximity to the equator and the warm Indian Ocean, the city experiences tropical climatic conditions similar to all Tanzanian coastal cities.The city experiences hot and humid weather throughout much of the year and has a tropical wet and dry climate (Köppen: Aw). Annual rainfall is approximately 1,290 mm (51 in), and in a normal year there are two rainy seasons: "the long rains" in April and May and "the short rains" in November and December. Nearby tourist attractions include Amboni Caves, Galanos hot springs, Saadani national park, Toten Island, URITHI Tanga Museum, Tanga War Graves and Memorials, Tongoni Ruins, Ndumi Village defense works, Mwarongo sand beaches and protected coastal mangroves. Tanga is represented in the Tanzanian Premier League by football clubs Coastal Union and JKT Mgambo.and African Sports African Sports(Wana Kimanumanu) from 2015-2016 season. A postcard from the year 1914. A roundabout in the city centre year 2003. The German built cliff block at the Bombo Hospital. A sunset in Tanga bay. ^ a b Yanda, Benjamin Chad (2007-01-01). A Political Ecology of Land Use Change and Natural Resource Conflict in the Rukwa Valley, Southwestern Tanzania. ProQuest. pp. 14–16. ISBN 9780549263838. ^ "Tanga | Tanzania". Encyclopædia Britannica. Retrieved 2016-01-21. ^ "Tanga Region Tourism Guide". Retrieved 21 January 2016. ^ "Tanga History". tanga-line.tripod.com. Retrieved 2016-01-21. ^ "First World War.com - Battles - The Battle of Tanga, 1914". www.firstworldwar.com. Retrieved 2016-01-21. ^ Thomas, Graeme. "Fibre stories: Sisal starts a comeback in Tanzania - International Year of Natural Fibres 2009". www.naturalfibres2009.org. Retrieved 2016-01-21. ^ "Consolidated TAA Traffic Statistics Up to 2014". taa.go.tz. Tanzania Airports Authority. Archived from the original on 27 January 2016. Retrieved 21 January 2016. ^ "Roads and Highways - COWI Group" (PDF). cowi.com. p. 30. Archived from the original (PDF) on 2016-07-05. Retrieved 21 January 2016. ^ "Hope for growth as Pangani builds new jetty". Tanzania Standard News. Daily News. 19 January 2016. Retrieved 21 January 2016. ^ "Tanzania Harbors Authority" (PDF). pmaesa. Port Management Association of East and Southern Africa. Retrieved 23 December 2015. ^ "Tanzania to tackle Tanga congestion". Port Strategy. 1 December 2011. Retrieved 23 December 2015. ^ a b "CLIMATE: TANGA". climate-data.org. Retrieved 21 January 2016. This page was last edited on 25 March 2019, at 22:53 (UTC).